Author Rachel Squires Bloom will join us to share stories and history of our own Squantum School, where she is not only a teacher, she is also assistant principal, and an alum! 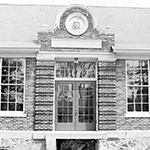 With firsthand knowledge of the school, Rachel set out to find and share the fascinating history of our elementary school, from the first principal, who rowed a boat to and from Squantum, to its most recent, who opened the school’s first full computer lab. We’ll hear some of the history, as well as experiences Rachel gathered from those who learned and worked at the school. Share your own memories and stories over refreshments following the talk. 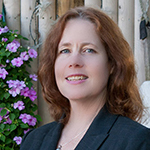 Rachel is currently researching and writing a book on the history of Squantum and invites you to connect with her to share your own stories and leads of the people, places, and stories of our seaside peninsula. Rachel Squires Bloom is a teacher at and alumna of the Squantum School, where she also serves as assistant principal. She has published numerous poems and articles and is the author of A Great Place to Start: History of the Squantum School. She is currently researching and writing a book on the history of Squantum. The Squantum Community Association provides programming that fosters conversation and community with a focus on topics of interest to the Squantum and Quincy communities, highlighting local talent and history. To subscribe to event notifications send us a note. This entry was posted in News, SCA Events, Squantum Community Association, Things to do by Monica. Bookmark the permalink.